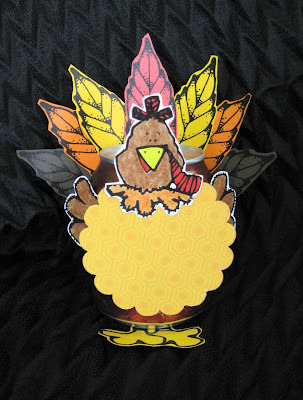 These favors are sure to be a hit around your Thanksgiving table this year! Just the right size to add to your feast and give your guests a little treat to take home. Have something else in mind? Let us know, we are pros at coming up with darling ideas and/or executing YOUR awesome ideas! Want to look and feel crafty but not have to come up with the whole project? We have created a simple "GIVE" banner kit that's so simple to put together and not only is darling, but serves a purpose as well! The dark brown paper sacks are left open so that you and your family can place notes of gratitude inside. Whether you add them daily, weekly, or just Thanksgiving Day - it will be fun to read them all to hear what everyone around you is thankful for. The kit includes 4 designer paper sacks, "Give" letters, 10 blank notes, and ribbon. Just cut out the letters, attach ribbon, and glue to your sack! Available in our store in Lehi or online here! 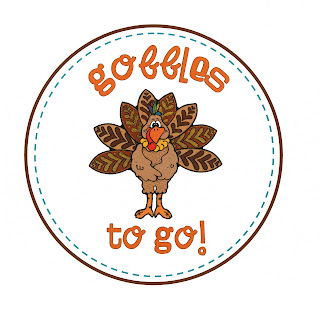 Here's the segment from Channel 5's Studio 5 - all about Thanksgiving! Favors, hostess gifts, and some ideas to keep those kids busy! We have even MORE ideas and cute things in our store in Lehi, Utah. Make sure you stop by to see or call the store (if you live out of the area) to place a custom order. Copy & paste this image into a Word document. Resize to fit your needs! Print on cream or tan cardstock. As shown on Studio 5, this tag would be darling on a large brown paper sack to put your guests' leftovers in... or on a kraft colored gable box... or on a 4x6 clear cello bag with yummy treats inside for the kiddos.